New research from MEF, supported by Mblox, says 76 per cent of consumers have received communications from businesses such as banks, healthcare and retailers via SMS. 65 per cent have engaged with companies via chat apps. 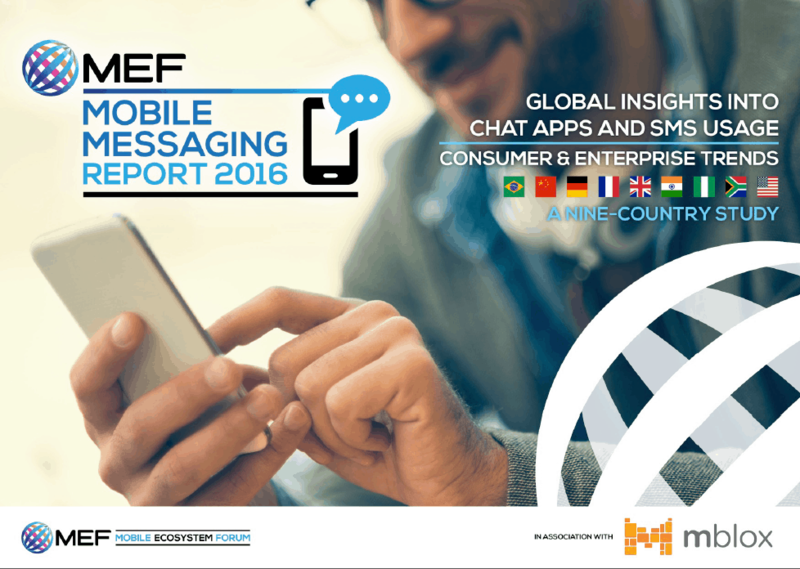 The study is part of MEF’s Future of Messaging Programme. It indexes the messaging habits of nearly 6000 respondents across nine countries worldwide. The report is available now as a free download. 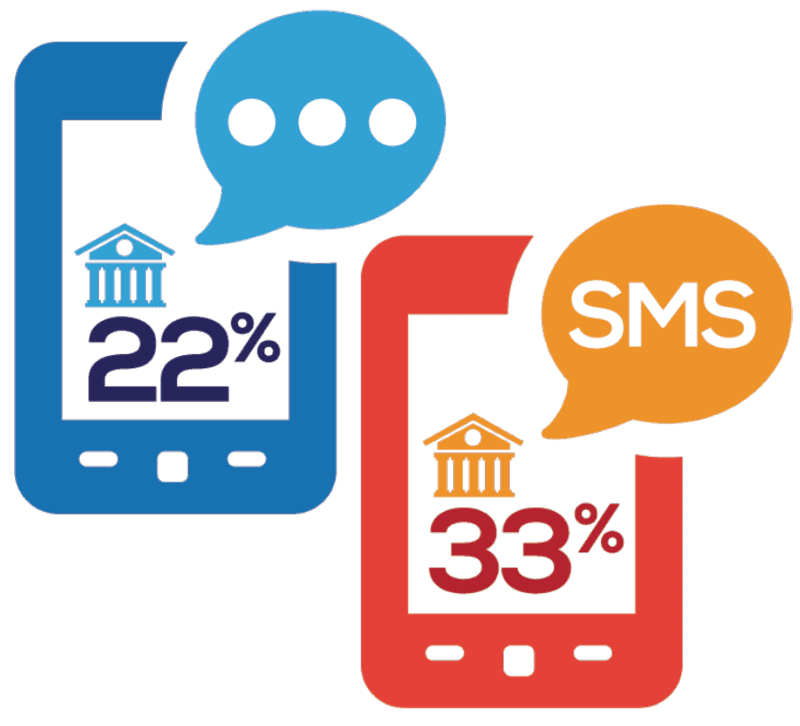 The financial services sector is the most active in enterprise messaging, with 33 per cent of respondents having received an SMS for activities such as account activation and balance checking. 22 per cent have done so via a chat app. Retailers and eCommerce (websites and email service providers) are also using messaging to engage their consumers with 24 per cent using SMS and 17 per cent using chat apps. 23 per cent of consumers have received a notification for delivery of goods via SMS and 16 per cent via a chat app. The rise in demand for convenience with services like click-and-collect and last-mile notification is helping to drive this sector. The survey reveals healthcare sector to be a key growth area. Globally 15 per cent of consumers studied have received a message from a healthcare provider via SMS and 12 per cent via a chat app. The UK and US lead this space with 19 per cent of consumers in both markets engaging via chat apps. Messaging as an authentication channel is also on the rise. The report benchmarks password confirmation as the most popular use of application to person messaging (A2P) – globally for SMS is 30 per cent and chat apps 25 per cent. In mobile-first markets it’s even higher – Nigeria 49 per cent and South Africa 38 per cent have received an authentication message from an enterprise. However, while SMS dominates A2P as the channel of choice, when it comes to person to person messaging (P2P) the ‘big two’ have edged past SMS. When asked which channel they used most, consumers chose Facebook Messenger first (56 per cent), followed by WhatsApp (50 per cent) and SMS (42 per cent). It is not surprising, mobile uasge has alread exceeded desktop, according to stats.